Base 8 Innovations is a fast growing digital media company that provides extensive design and web creativity to businesses of all sizes. We pride ourselves on being flexible, innovative and passionate in providing our clients with a service that delivers websites, webapps, native apps, videos and strategy that will maximise a businesses potential in the digital space. Whether a sole trader setting up or an established large corporate we are here to enhance efficiency with external marketing requirements or internal colleague engagement needs. It’s a pleasure to sponsor Sam Harrison. Please visit our website www.base8innovations.com or email [email protected] to discuss things further. 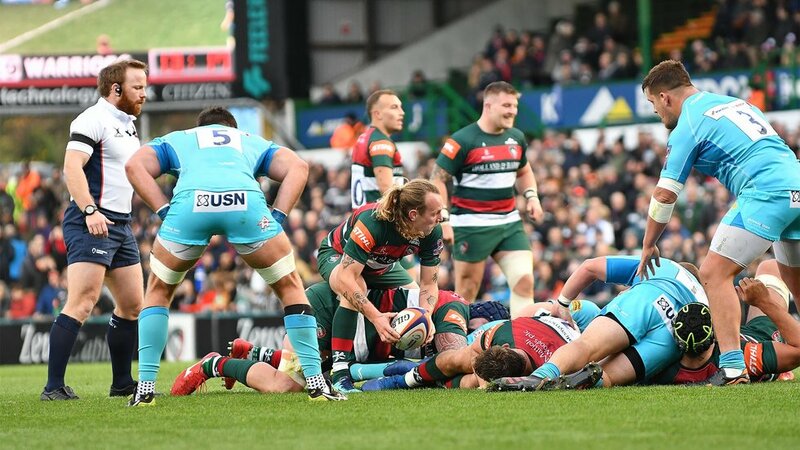 A product of John Cleveland College and Hinckley RFC, scrum-half Sam Harrison celebrated a decade in the senior squad at Tigers during 2017/18. He made his club debut as a teenager in the win over Italian visitors Treviso in the European Cup during 2008/09 after injuries to senior duo Harry Ellis and Julien Dupuy and has gone on to become a permanent fixture in the first-team squad. A Premiership ‘A’ League winner in 2010/11, Harrison gained first-team experience in the Anglo-Welsh Cup that season after graduating from the Tigers academy and followed club colleague Ben Youngs into the England Under-20s No9 shirt. His breakthrough campaign came in 2011/12 when he was named in the matchday squad for the Premiership Final and shortlisted for Young Player of the Year after 18 first-team appearances. He ended 2012/13 in another Premiership Final win at Twickenham and in 2014/15 was named Players’ Player of the Season and shortlisted for the supporters’ award. In 2016/17 he started the season with two tries and kicked the crucial points as an emergency fly-half in an opening-day win over Gloucester at Kingsholm and has become the epitome of reliability in more than 150 games in a Tigers shirt.